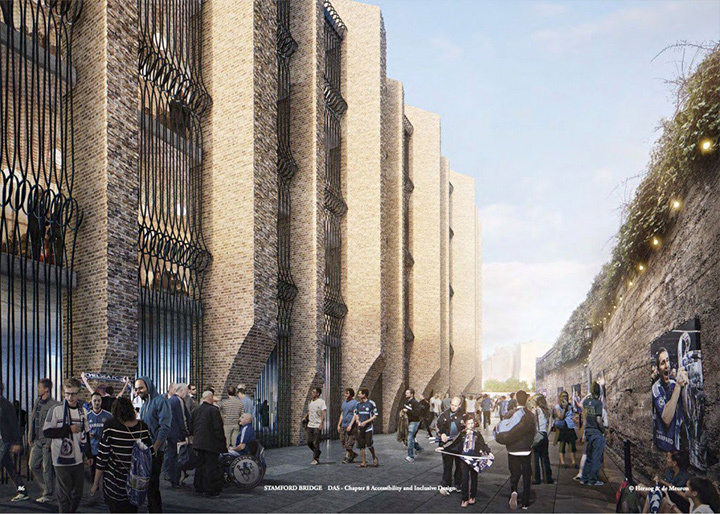 The plan to rebuild the Chelsea FC stadium have been approved by the mayor of London and now the club has a green light to proceed with development. 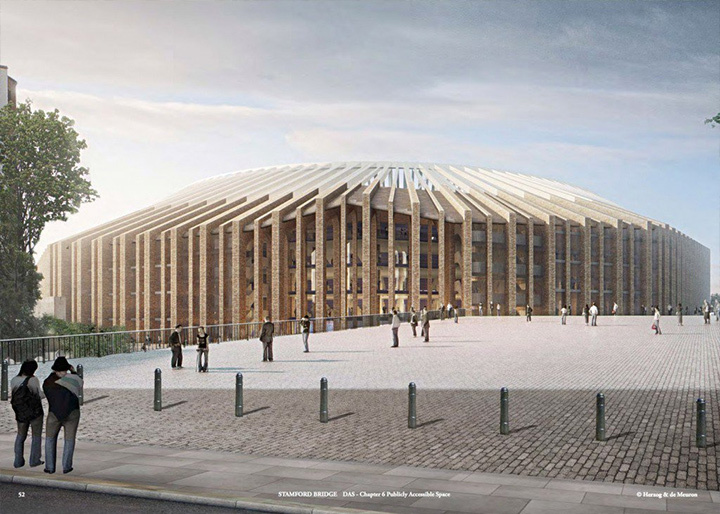 The estimated cost of the new Stamford Bridge stadium is in the area of £500m and the construction is set to start in the summer of 2018. 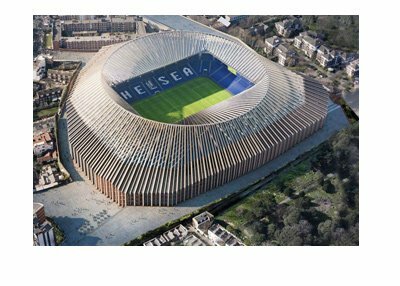 The present Stamford Bridge stadium will be demolished and removed to make room for the new pitch, which will be sunken below ground level. The new stadium is supposed to be ready for the 2021-22 season. The match-day attendance capacity will be 60,000, an increase of about 18,400 seats. 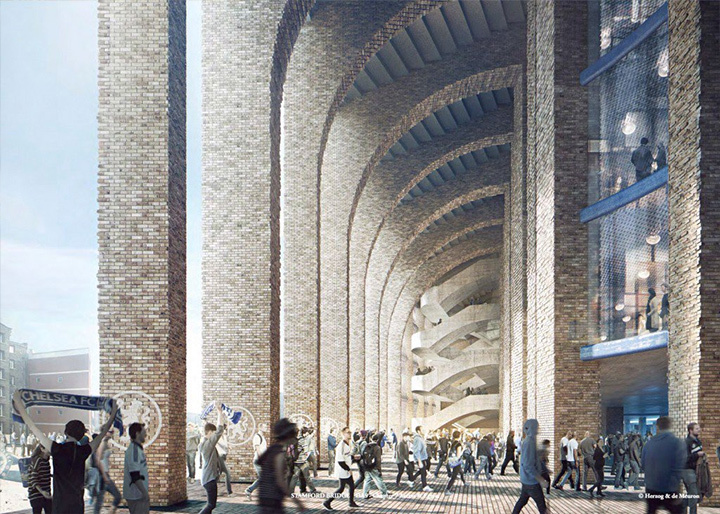 The Swiss firm Herzog & De Meuron (Bird's Nest Stadium in Bejing and Allianz Arena in Munich) designed the plan, while the club's wealthy owner Roman Abramovich is footing the bill. The new stadium is a thing of beauty. 'Contemporary sculpted form' is what the Herzog & De Meuron designers call the iron and brick construction. 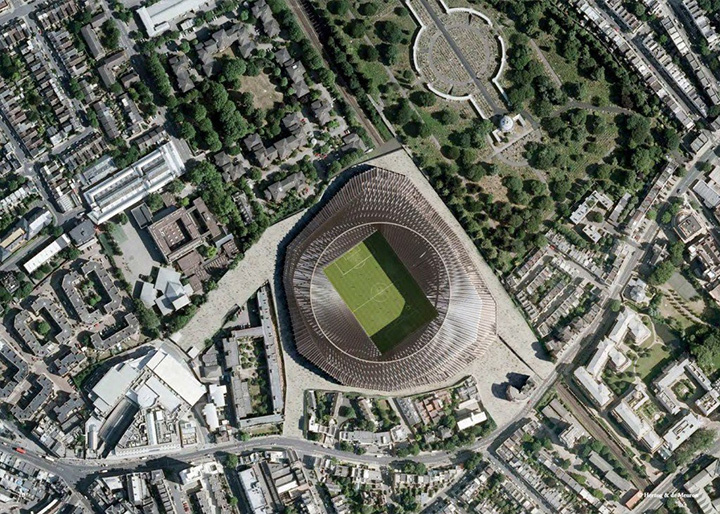 The main objective of the project was to increase stadium capacity. 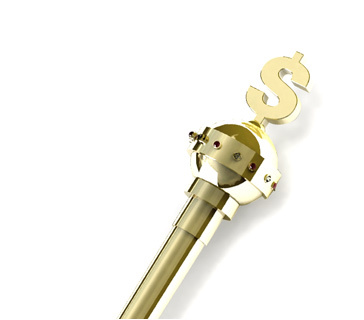 Increased capacity, of course, means more future revenues for the club. 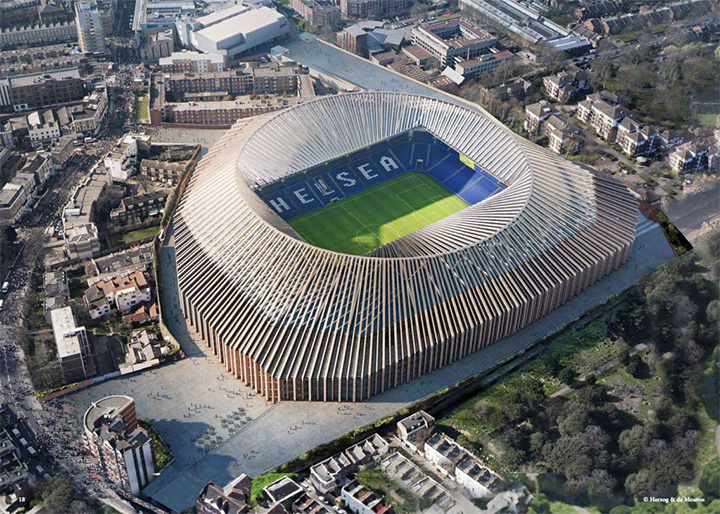 Chelsea have been at home at Stamford Bridge since 1905, during which time the stadium has been redeveloped several times. It is very likely that during the three years in exile, Chelsea FC will find a temporary home at Wembley.